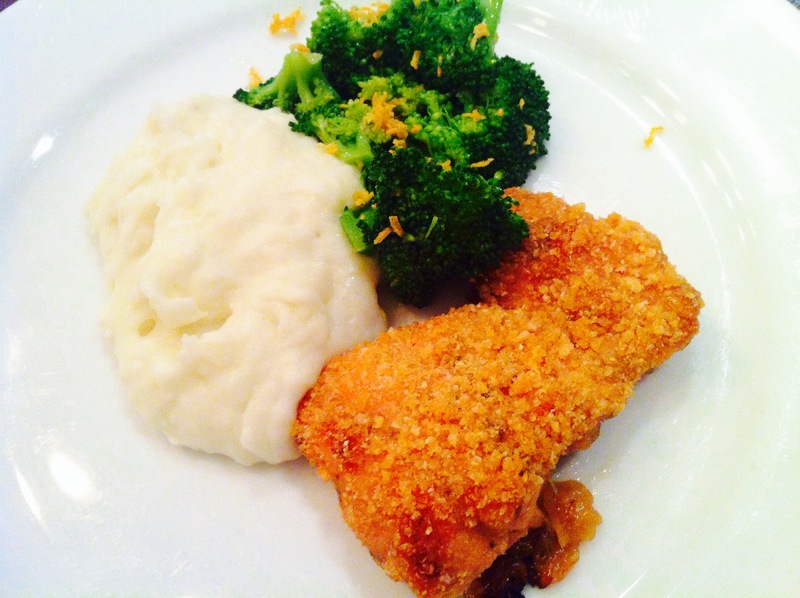 This recipe is one of my S.O.S recipes for picky kids, last minute guests and “too tired to cook” days. Full of flavor it has always left a good impression. 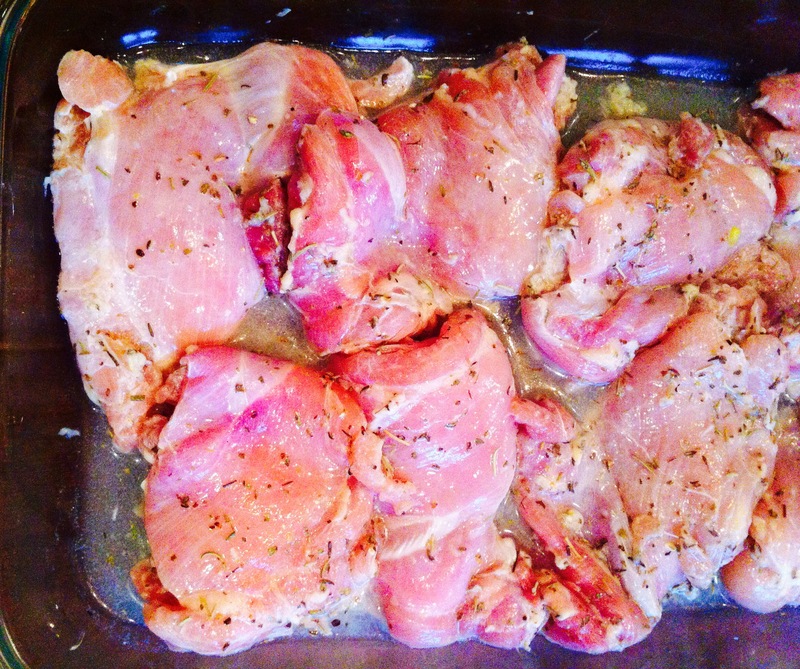 Marinate the chicken thighs for at least 15 minutes. 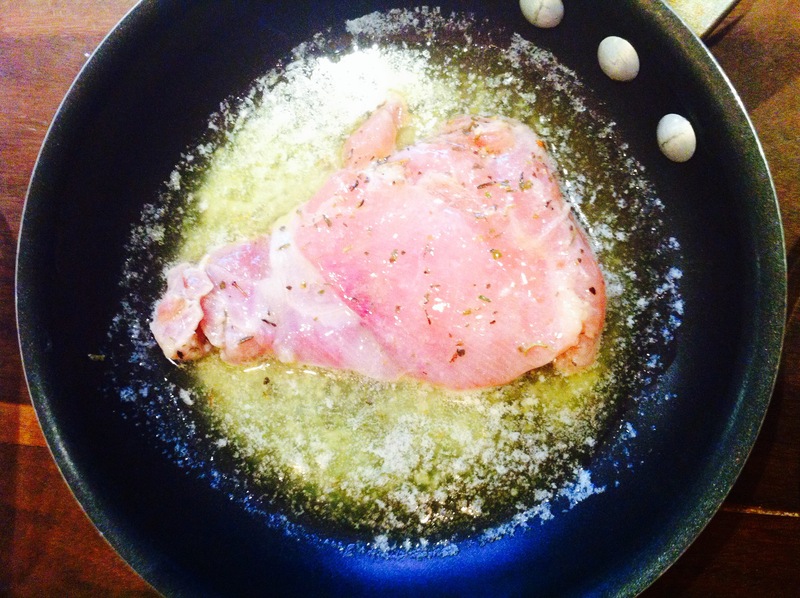 In a skillet, melt the butter on low heat. Take the skillet out of the fire. 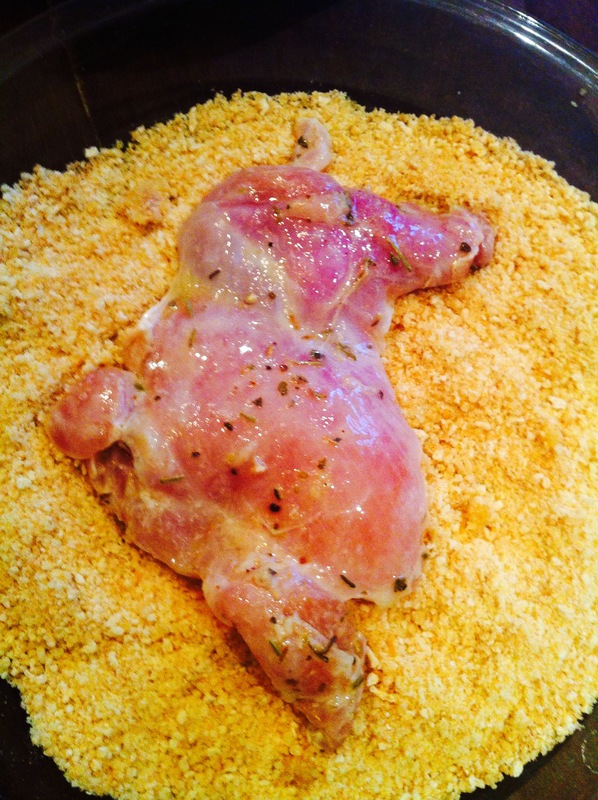 Bathe thighs in the melted butter. 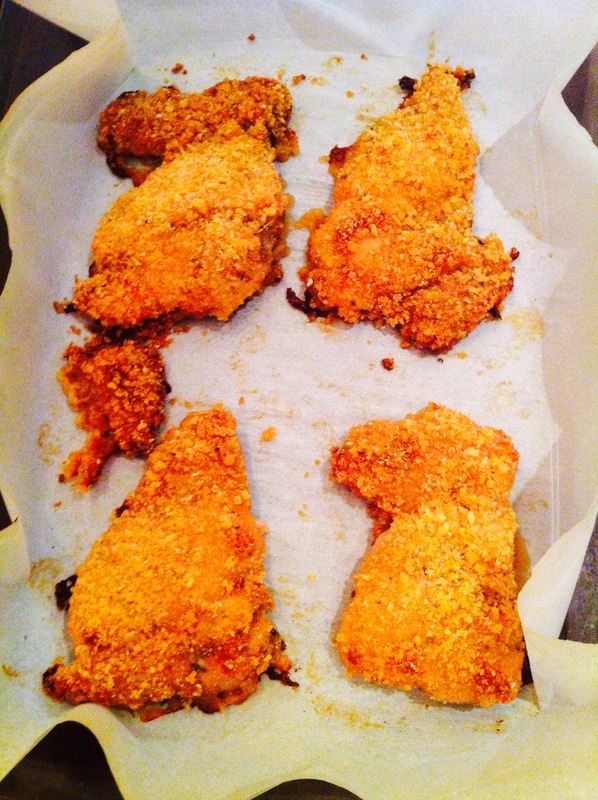 Cover each thighs with a mixture of bread crumbles and cheese. 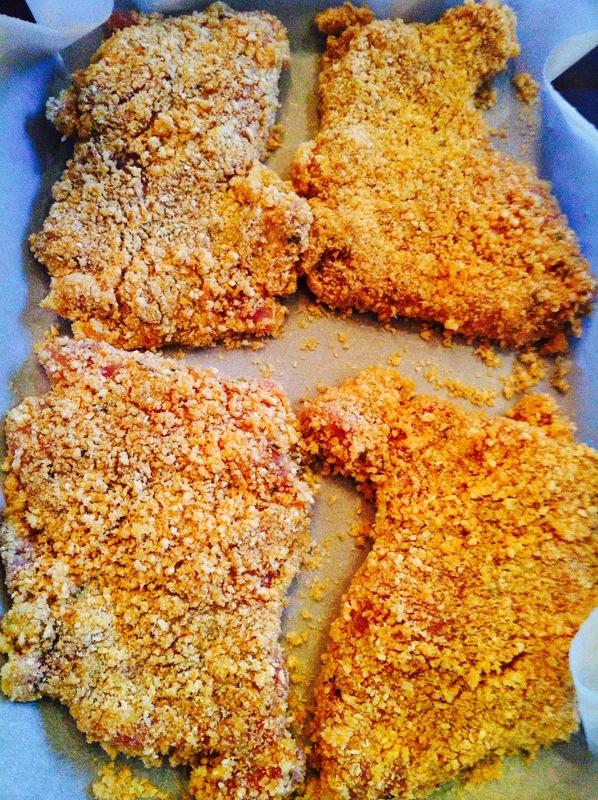 Lay the chicken thighs on a parchment paper covered pan. Bake at 370 ℉ until golden- about 25 to 30 minutes.